Please click the above buttons for further information on our services. 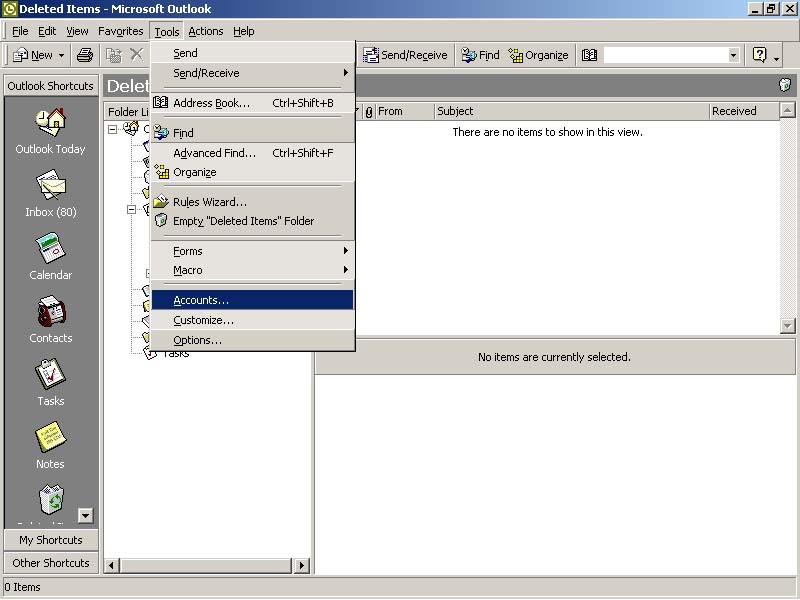 First open Outlook or Outlook Express, and go to the Tools menu, then select Accounts. 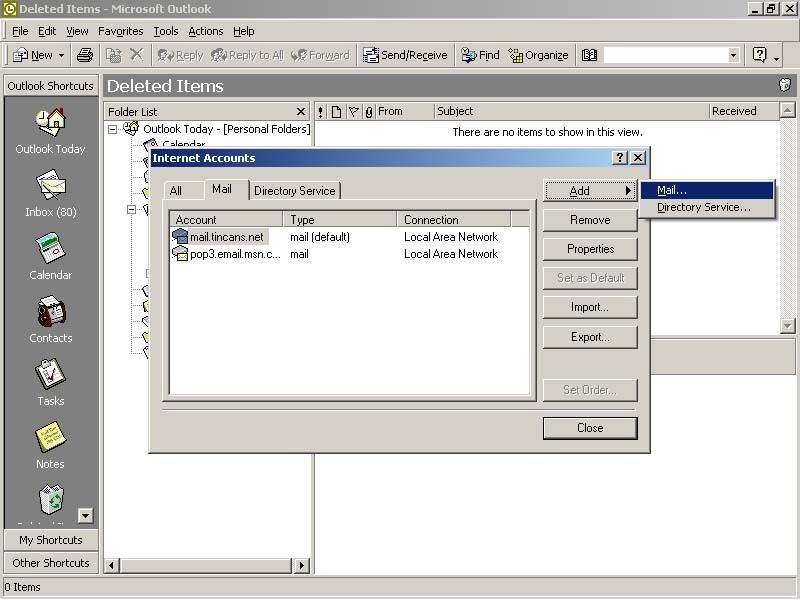 Once you select Accounts a Window will open up with several tabs on it. Select the Mail tab. Then click the Add button and select Mail. Send mail to web@tincans.net with questions or comments about this web site.